This post is in partnership with Kidde and WSBTV but all opinions are my own. There are steps and safety practices that you can implement to ensure that your family is doing everything possible to keep your house safe from a fire and also knowing how to react should a fire occur. Equipping your home with the appropriate sensors and tools to alert you that there is a fire is critical! What is Operation Save a Life? 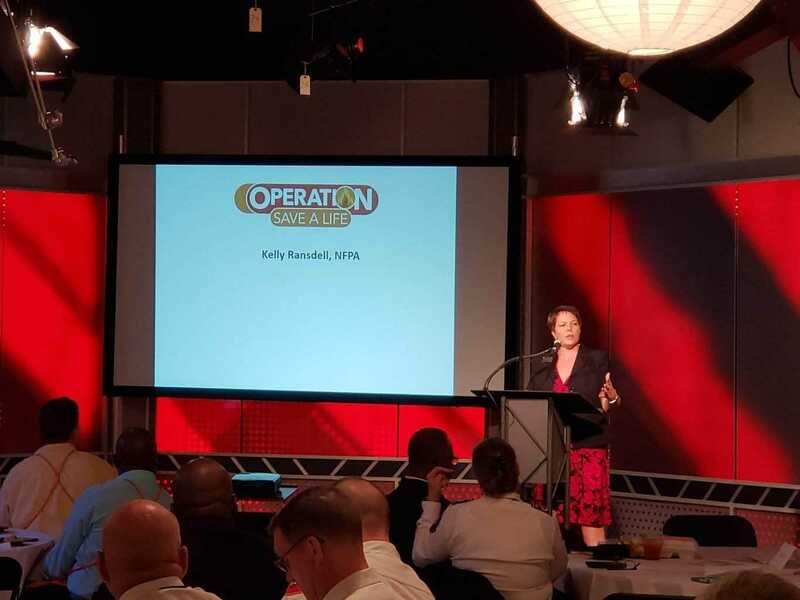 Operation Save a Life (OSAL), a community awareness program, is a partnership between ABC and Kidde to promote fire and carbon monoxide (CO) safety in cities across the nation. The cities across the Metro Atlanta area are so very fortunate to be a part of the “Operation Save A Life” program. 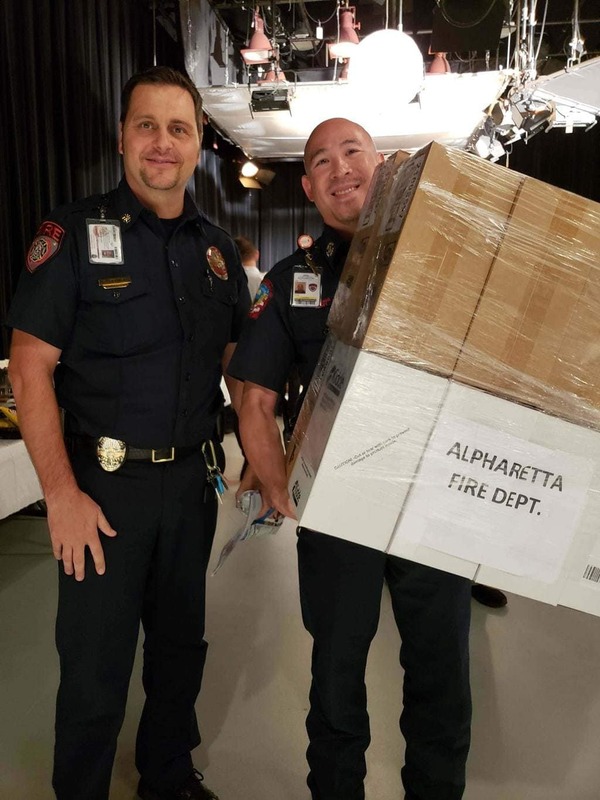 They kicked off the program here in Atlanta this week and I had the honor to attend the event, meet some of our local Atlanta fire departments and discuss the importance of educating everyone with having smoke alarms and CO Detectors in their homes. 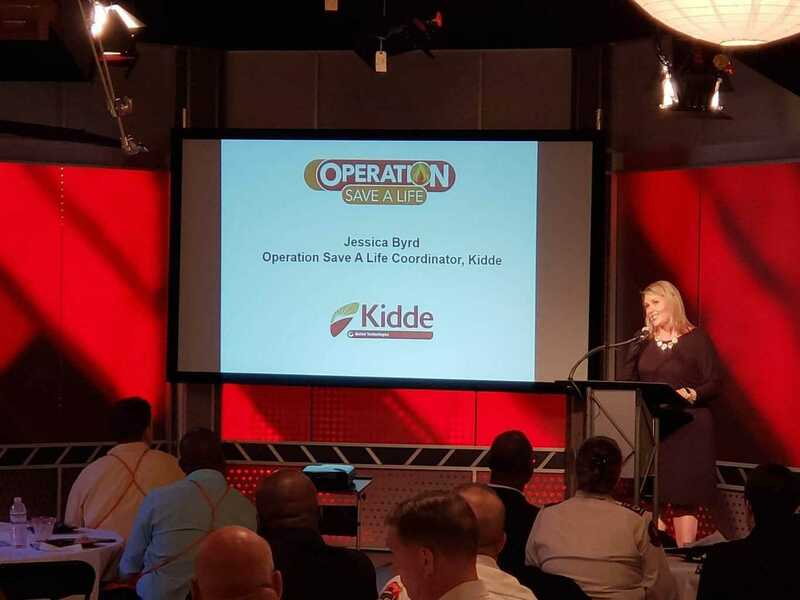 Through Operation Save a Life, Kidde has donated more than 1.3 million smoke and carbon monoxide alarms to fire departments since 2002 to over 19 cities in the United States. 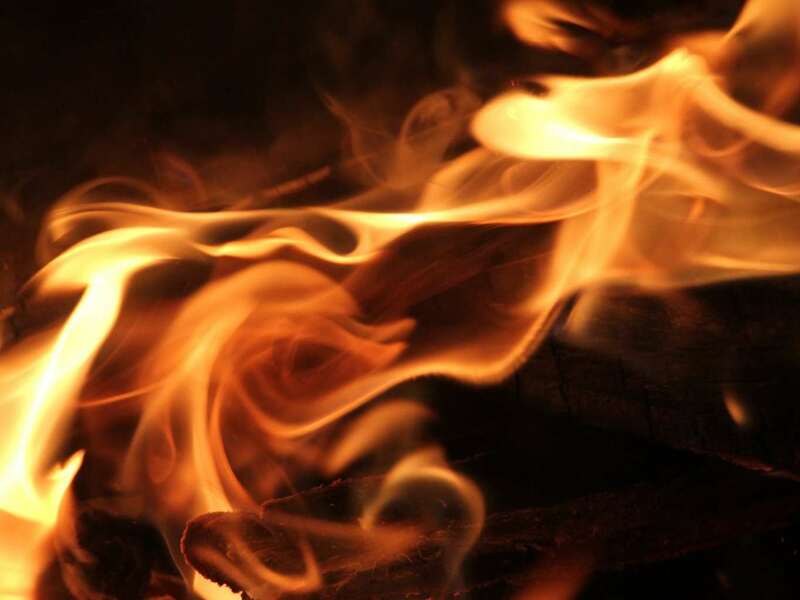 Here in the Atlanta area, Kidde company has partnered up with the local fire departments, The Home Depot, and attorney Ken Nugent to ensure that as many homes in Atlanta can become a bit safer in regards to fire safety. This year they donated 5000 smoke alarms and 1000 CO detectors to the Atlanta fire departments. If you reside in the Atlanta area and you don’t have the funds to purchase a smoke detector for your home, Operation Save A Life is there to help. To be able to obtain one of the free smoke alarms for your home, you’ll need to contact one of the fire departments that is listed in these Georgia counties. If supplies are still available, a firefighter will also come to your home and install the smoke alarm at no cost to you. Smoke Detectors can save lives! According to the National Fire Protection Association (NFPA), they recommend smoke detectors to be installed on every level of your home, including bedrooms. If you have a heavy sleeper in your house, this can be a great way to ensure that they will hear the alarm and wake up! 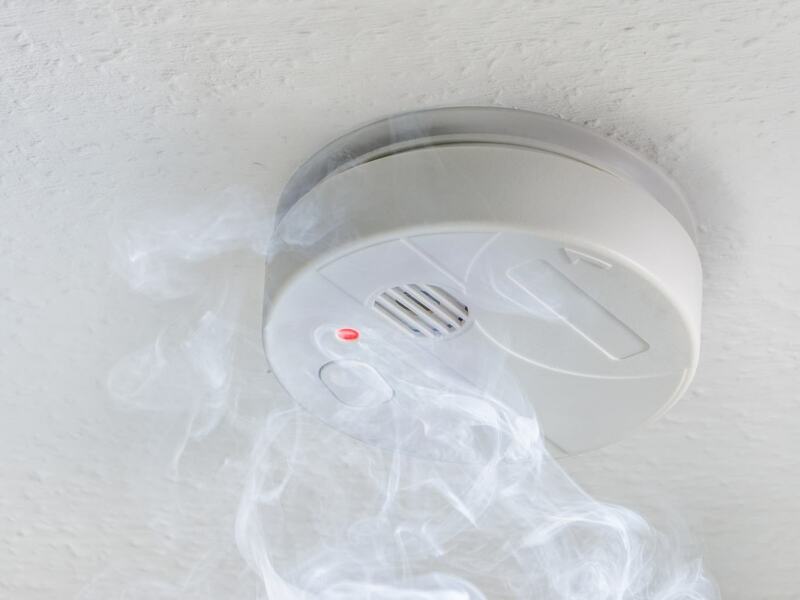 If you hear that “beeping” noise coming from your smoke detectors, change the batteries and change them quickly to get them back up and running smoothly. Did you know that carbon monoxide is an odorless gas that can go undetected in your home? In large amounts, it’s extremely dangerous and precautions are absolutely necessary. Placing carbon monoxide monitors on every level of your home, near every bedroom is important! Make certain to always test them per the recommended guidelines as well to ensure that you and your family are safe. 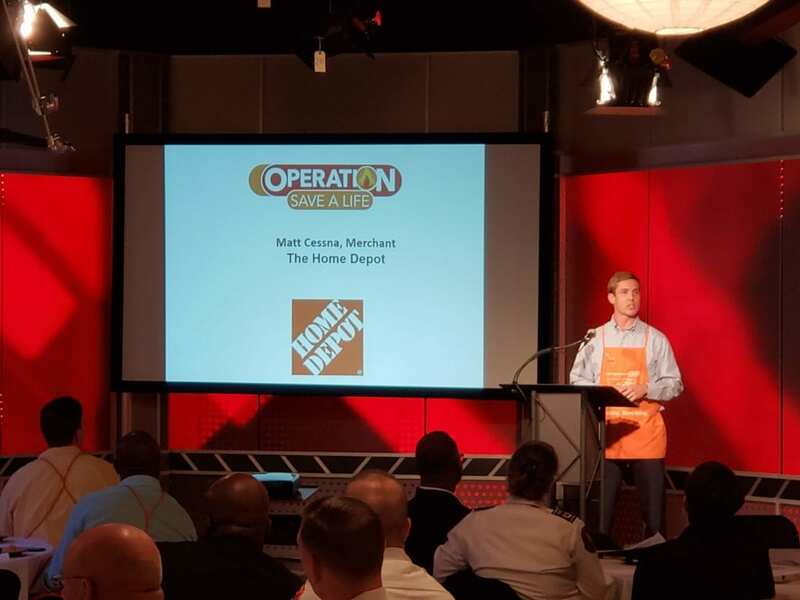 If you are shopping for a new smoke alarm or carbon monoxide detector for your home, Matt Cessna, Merchant from The Home Depot says their Team of Experts are available to answer all of your home safety questions. They can help you choose the right alarm for your home. Hopefully, a fire will never occur in your home…but if it does, you and your family need to be prepared on how to react. While there is never a “one size fits all” type fire situation, there are steps that you can take to make certain that each and every family member knows what they should do in case of a fire emergency. Creating a simple fire safety plan is essential in ensuring that everyone is on the same page. The plan doesn’t have to be complicated and should be simple for someone to follow in high levels of stress. Talk to your family about getting outside of the home if and when they see or smell smoke. Make certain that everyone knows to exit as quickly and as safely as possible and set a meeting spot somewhere outdoors that is a safe distance from your home. Most importantly? Practice that fire safety plan so that everyone knows how to react if that situation truly did occur! 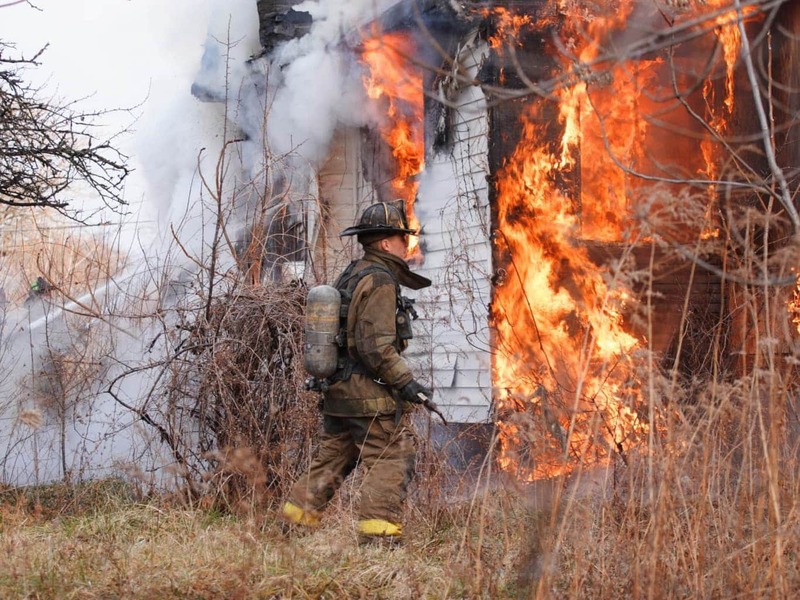 Fire Safety is so important in your home, and with resources like Operation Save A Life and their partnerships, it’s possible to have your home be the safest it can possibly be! As a community, we can help prevent a fire and save a life through preparedness and education.